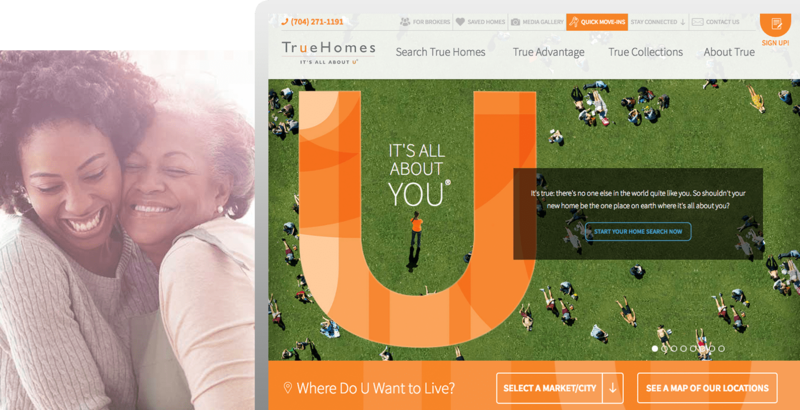 True Homes is committed to being true to all things that matter most to homebuyers. When they began building semi-custom homes throughout North and South Carolina in 2007, the goal was to create homes specifically suited to each customer’s style and personality. Today they are the largest privately-owned builder in the Carolinas, and the True brand continues to resonate with prospective buyers. True Homes challenged Graphic Language in many ways. It wasn’t just to build a website, but create a living, breathing business application. 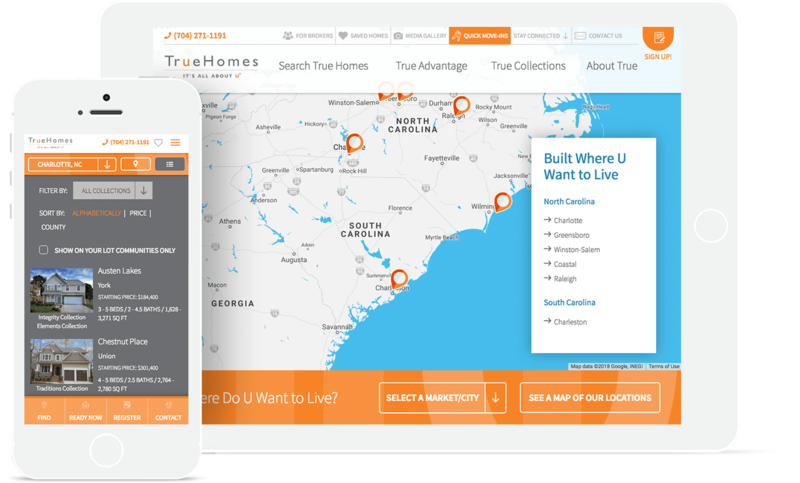 The new True web experience includes a recurring data feed to display exact home pricing per residence, monthly estimated payments, seamless brand-to-digital translation, and a compelling display of new-home collections to suit each customer’s personal preferences. Easy home search. Highly Interactive design. Robust functionality. Deep data integration. CRM integration.